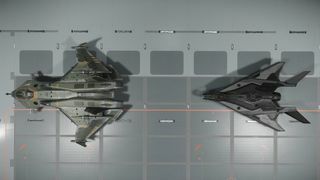 For the size 1 missile, see Arrow I. 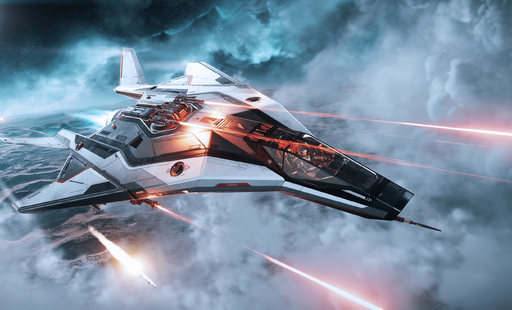 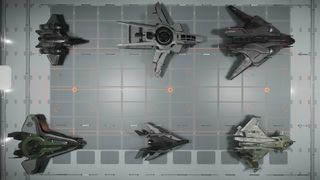 The Anvil Arrow is an agile, light fighter that is prized for its velocity and dexterity. 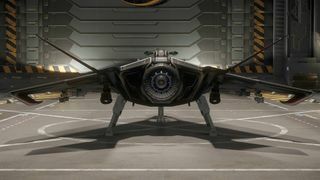 The Arrow boasts advanced thruster tech, a generous weapons package, and an ultra-aerodynamic frame to outmaneuver and outwit its opponents. 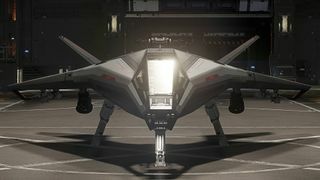 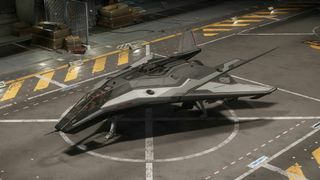 The Arrow was both announced and released on 2018-11-23 as a part of Anniversary 2948 event, on Star Citizen Alpha 3.3.6. 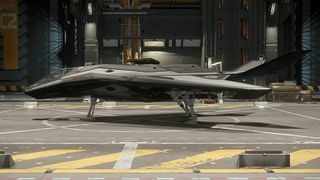 Arrow is one of the first few ships that is flyable when the ship is first revealed to the public. 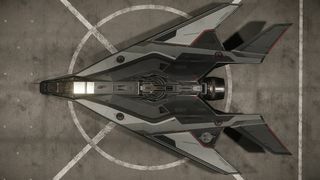 For a full gallery, see :Category:Arrow images.